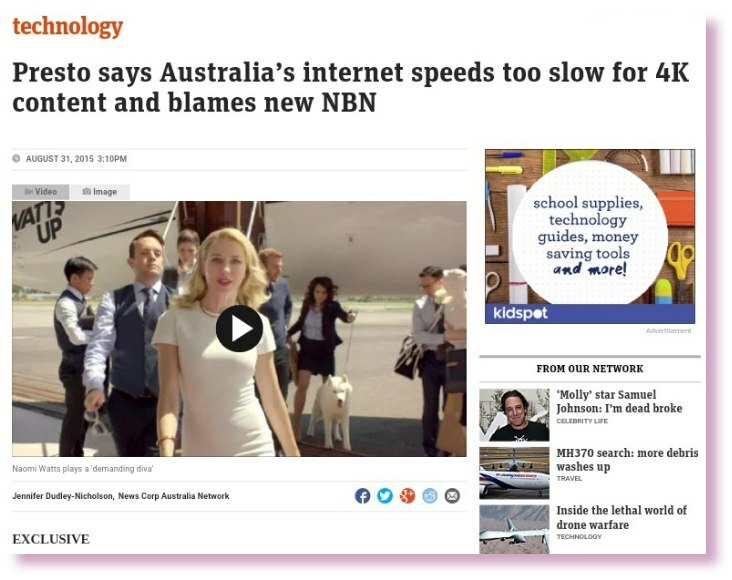 In an “exclusive” interview with News.com.au (a website run by Murdoch’s News Corp), Presto spokesperson Richard Cole said Australia’s internet speeds were too slow to manage super high definition streaming. “With an NBN as per the original (read: Labor) design, it wouldn’t have been an issue to do 4K,” Cole said. That’s an own goal for Murdoch. For those not on the bleeding edge of technology, 4K is one of the next big things in visual entertainment. Like how HD video was a big step up in quality from standard definition, 4K is a big improvement on HD. As a result, 4K videos are a lot larger than HD files and require greater bandwidth for smooth streaming. Labor wanted to create a super fast fibre to the premises network, and began doing so during the Rudd/Gillard governments. Once the Abbott government took over, then-communications minister Malcolm Turnbull downgraded the network to fibre to the node, leaving it up to old fashioned copper wire to carry data to homes. So, to summarise: Murdoch’s News Corp campaigned against Labor and its fibre to the premisis network, gets the Liberal government it wants, then sister company Foxtel’s streaming offshoot gives News Corp the exclusive that it’s not happy. At least most 4K TV owners are probably super-wealthy Liberal voters. Poetic justice, of sorts.